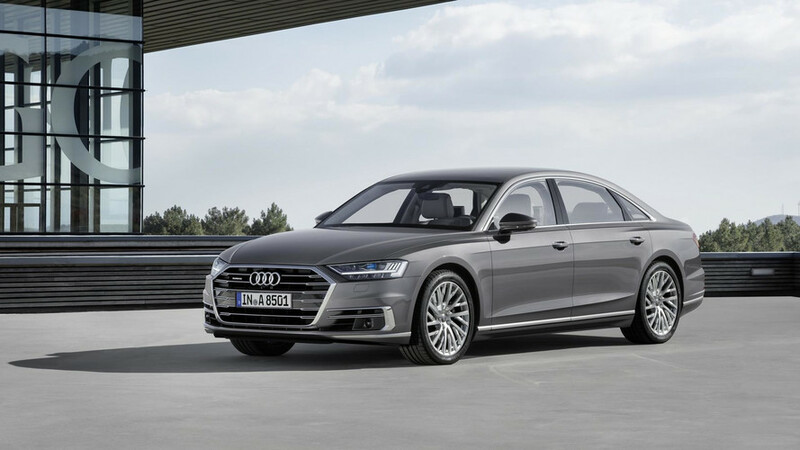 People with the means to buy Audi’s latest and greatest flagship aren’t going to take the all-new A8 to the drag strip to test its acceleration, but even so it’s impressive to see what the two-ton luxobarge can accomplish even in its entry-level guise. Underneath its long hood is a turbocharged 3.0-liter V6 engine that develops 340 horsepower (250 kilowatts) from 5,000 rpm and a maximum torque of 369 pound-feet (500 Newton-meters) attainable from 4,500 rpm. 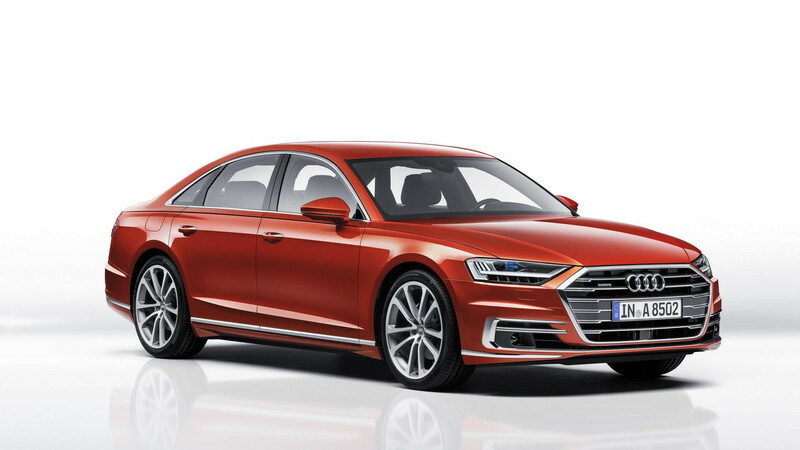 According to the spec sheet, the A8 55 TFSI as it will be known in Europe (thankfully, not in the United States), does the 0-62 mph (0-100 kph) task in 5.6 seconds in the standard wheelbase configuration. This real-life test shows it’s actually a tenth of a second quicker - not too shabby for a car that weighs a hefty 1,995 kilograms (4,398 pounds). Take it to the max and an electronic top speed limiter will kick in at 155 mph (250 kph). The TFSI V6 is the only gasoline engine available for now or you can go for the 3.0-liter V6 diesel with 286 hp (210 kW) at 3,750 rpm and 442 lb-ft (600 Nm) from a low 1,250 rpm. A tad heavier at 2,050 kg (4,519 lbs), the Audi A8 50 TDI does the sprint in 5.9 seconds (6.6s in the video below) and won’t go beyond 155 mph. Those who would rather have more oomph coming from the engine bay will have to wait until next year when Audi will come out with the big guns. V8s in both gasoline and diesel flavors are in the pipeline, while further down the line there’s going to be a new performance-oriented S8. Rumor has it the even faster S8 Plus will be replaced by an S8 E-Tron, with both S versions expected to get the powertrains from the Porsche Panamera. Naturally, a silky smooth biturbo 6.0-liter W12 will serve as the crown jewel of the engine range and is slated to arrive next year.